A 1st class municipality in the 3rd district of Negros Oriental, Siaton is often referred to as the “rice bowl of the province”. 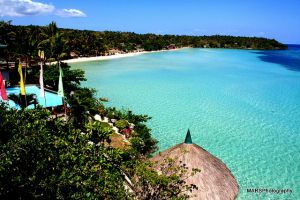 It has one of the biggest land areas in the south and is a one-hour drive from the popular Dumaguete City. 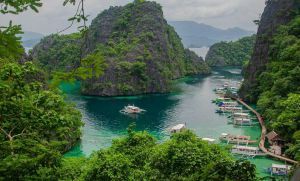 With 26 barangays, and 14 of which are near the coast, the municipality offers many tourist attractions, including the Lake Balanan. A 15-kilometer hike from Siaton’s national highway, this spot is great for swimming, camping and other outdoor recreations. The municipality also boasts of the Antulang Beach, which has white pebble beaches, clear waters, interesting rock formations and underwater scenery that is ideal for snorkeling. There are also good sites for other water activities, such as scuba diving, windsurfing and sailing. Aside from these attractions, Siaton is also popular of one of the most popular festivals in the Philippines, called the Inagta Festival. “Inagta” is a native folk dance that is uniquely known to the municipality. As you might notice, the term was derived from the word “Agta”, which refers to the group of people living in the hinterlands of the town who originally danced it. Living along the Siaton River, their means of livelihood were fishing, hunting and digging wild root crops. Due to the Spanish conquest of the country, the Agtas were converted to the Christian faith. However, Moslems from Jolo were making various attacks on the established Christian villages, kidnapping women and children, as well as looting homes. In one of the fierce battles between the locals and invaders, a dark shadow miraculously appeared and covered the Agtas, so they were not seen by the Moslems, leading to their defeat. Story tells that the natives later found out that the shadow was that of San Nicholas de Bari, the then patron saint of Siaton. Paying homage to the saint, the Agtas would dance the “Inagta” and chant “Viva Senor San Nicholas!” Since then, the people never failed to perform the dance every 6th of December to honor event. The groups dancing the “Inagta” consider the act as a fulfillment of their vow, strongly believing that by doing so, sickness and other calamities will not befall on them. From generation to generation, descendants of the ancestral dancers perpetuate this traditional dance. As the oldest festival in the province of Negros Oriental, the Inagta Festival is truly a celebration of authentic Negrense culture. By experiencing it, you will see that the dance ritual was Christianized, where St. Nicholas of Bari was chosen the town’s patron saint. You will see on the parade that his religious image is carried around. Joining the festival would be a new and unique cultural experience for you, as you can watch a unique dance choreography and formation. Moreover, the celebration will be more memorable for you with the food, drinks and other delicacies you can enjoy during the special day. Yung chant po sa dance na Inagta saan po kya makukuha. Thanks po.